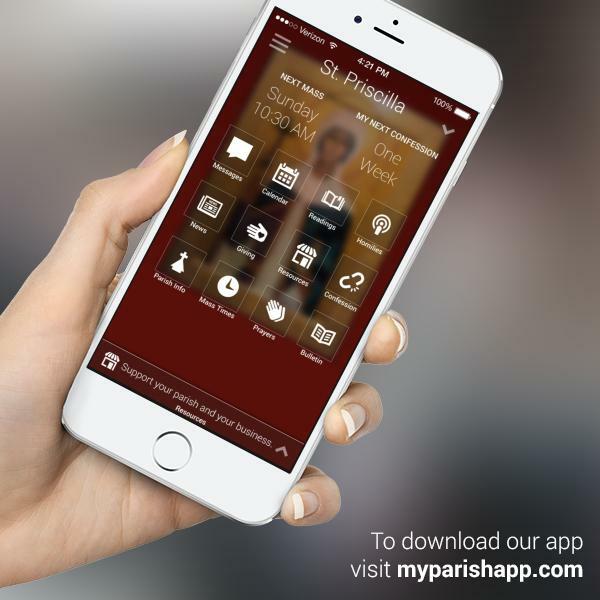 Get the "myParish App" for keeping in contact with your parish family. FREE for all parish members! Select "St. Priscilla, Livonia" after opening, to receive our messages on your phone. Works on devices which include either Android&apos;s "Google Play" or Applie iPhone&apos;s "app store". We can also answer some questions at our upcoming "Hospitality Weekend". content: A copy of the events shown in our App can be seen on the app-messages page. parish groups: To announce parish events in our App and this website, please send your details to Doug: app-content team.